More likely to be burgled in Leeds than London? Living in a city with a high burglary rate is not only worrying, in terms of the risk of a break-in, but is also likely to drive up the cost of home insurance. To sum it up: you’re quite likely to be burgled; the burglars are unlikely to be caught; and you’re probably not going to get any of your stolen possessions back. Plus, you pay out more in insurance whether you get burgled or not. If you don’t have any of the above in place (and especially if you live in Leeds!) then you really ought to consider a few. We would certainly recommend good quality locks and, of course, consistently keeping your doors locked (even when at home). A burglar alarm is advisable as well. 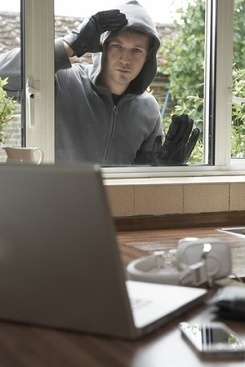 For advice on these measures or home security in general please give us a call on 0345 833 5543.